Freeholder Al Mirabella, State Senator Nick Scutari, Union County Improvement Authority (UCIA) Chairman Anthony Scutari, UCIA Board member Ron Borstad, Freeholder Chris Hudak, Freeholder Vice Chairman Sergio Granados, Acting Administrative Director of the New Jersey Judiciar Glenn Grant, New Jersey Supreme Court Chief Justice Stuart Rabner, Union County Assignment judge Karen Cassidy, Freeholder Chairman Bruce Bergen, Freeholders Linda Carter, Vernell Wright, Angel Estrada, and UCIA member Steve Hockaday. The Union County Board of Chosen Freeholders and the Union County Improvement Authority hosted a ribbon cutting ceremony to celebrate the opening of the new Union County Courthouse Cherry Street Annex. Located at 2 Cherry Street in Elizabeth, the new courthouse provides six state-of-the-art courtrooms and facilities that will serve families throughout Union County. The event brought together county officials, judges and legal professionals from across Union County. UCIA Executive Director Daniel P. Sullivan served as Master of Ceremonies for the event, which began with the presentation of colors, conducted by the Office of the Union County Sheriff Honor Guard. The program included a performance by the Thomas Jefferson Arts Academy Choir from Elizabeth. The program’s honored guest and keynote speaker was New Jersey Chief Justice Stuart Rabner. The new facility serves as an extension of the current courthouse. It will provide 78,071 square feet of new space. The public enters the Courthouse through an elevated courtyard and secured lobby, providing direct access to court-related administrative functions and stair/elevators connections to courtroom waiting areas on the floors above. Other public spaces include a Cafeteria, Children’s Waiting Room, Attorney Lounge, Conference, Hearing and Mediation Rooms and several Waiting Areas. The building is fully accessible to the handicapped and provides surface parking including a separate and secured parking lot for judges. The project was also designed to receive USGBC LEED® Certification. “The UCIA is proud to play an important role in the construction of our newest courthouse in Union County, and we greatly appreciate the support given to this project by the Board of Chosen Freeholders,” says UCIA Chairman, Anthony Scutari. “It is a state-of-the-art facility that will meet the needs of Union County families and our Courts for many, many years to come,” adds Mr. Scutari. 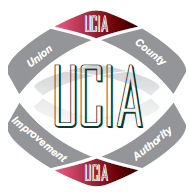 The aims and purpose of the Union County Improvement Authority are those set forth generally in County Improvement Authorities Law, N.J.S.A. 40:37A-44 et seq., and particularly in N.J.S.A. 40:37A-54, which provides the Authority with the statutory power and resources to assist the State of New Jersey, the County of Union, and the municipalities within the County to create, construct and operate a variety of facilities and services for the public benefit. For more information visit ucimprovementauthority.org.